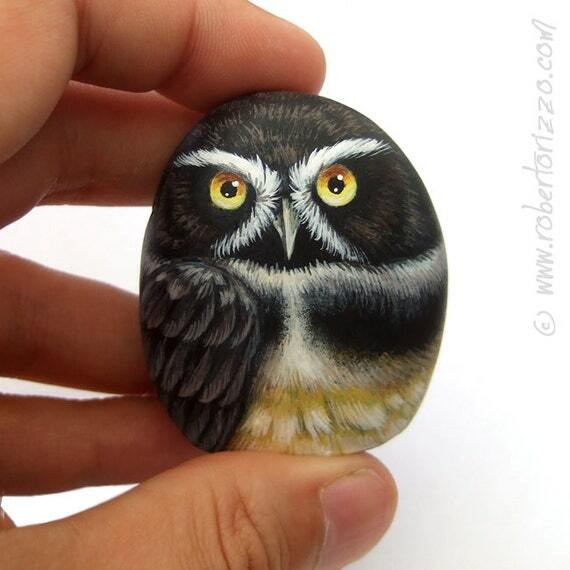 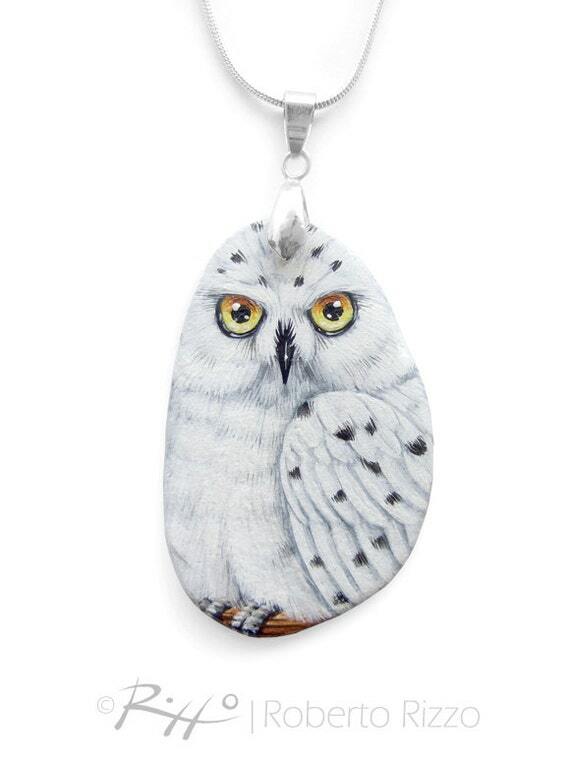 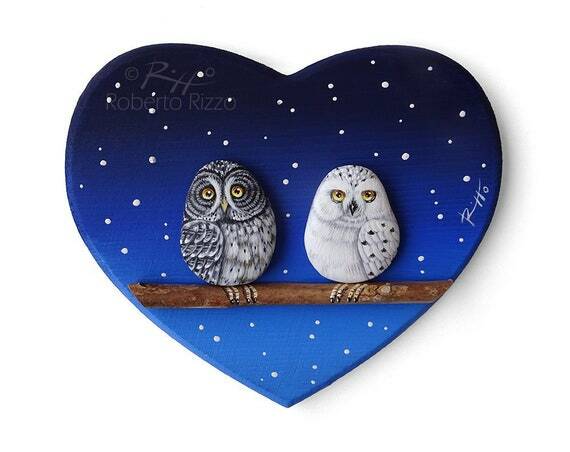 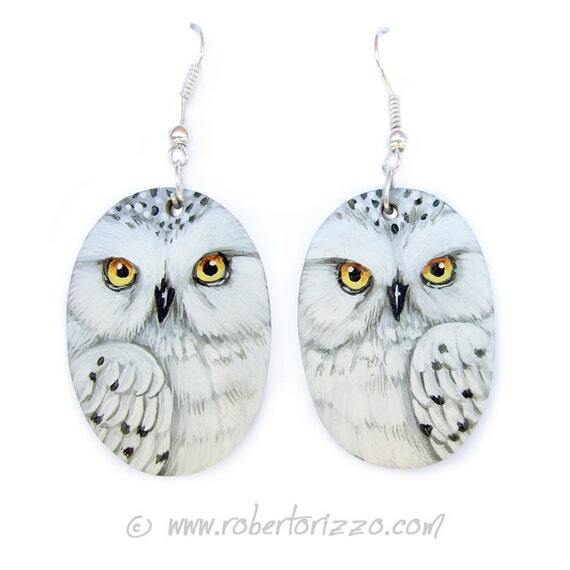 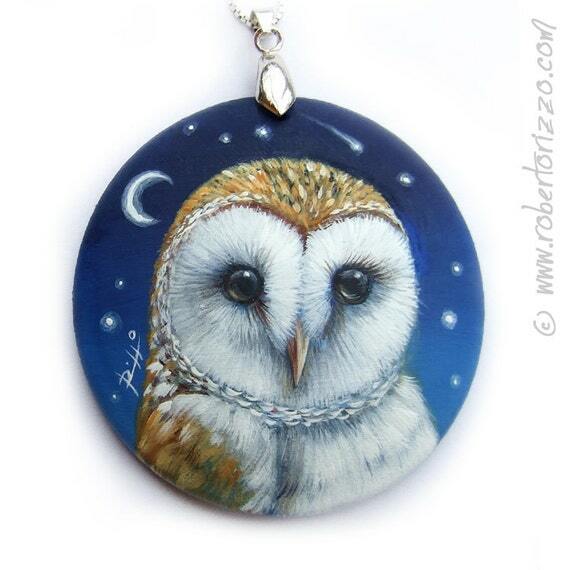 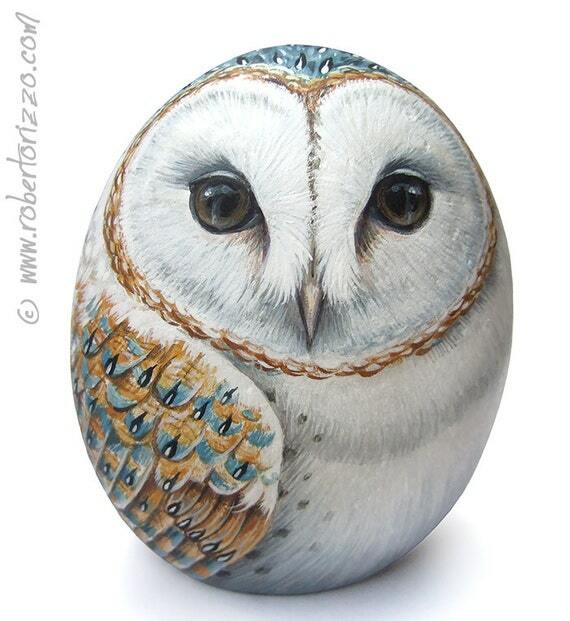 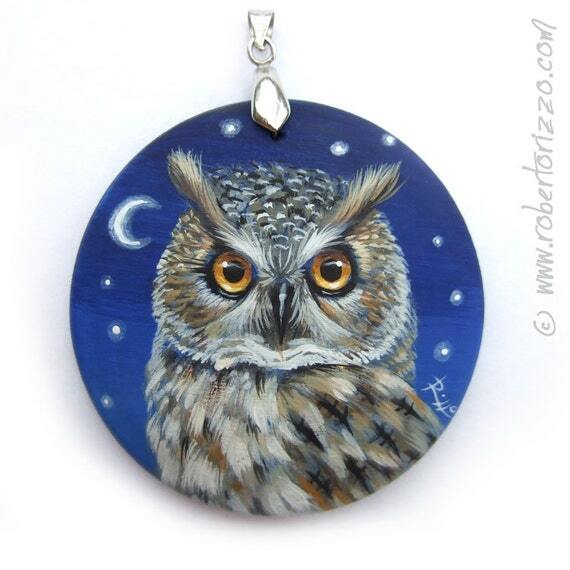 ﻿Painted Rocks, Wildlife Art, Pet Portraits & Jewels by Roberto Rizzo. 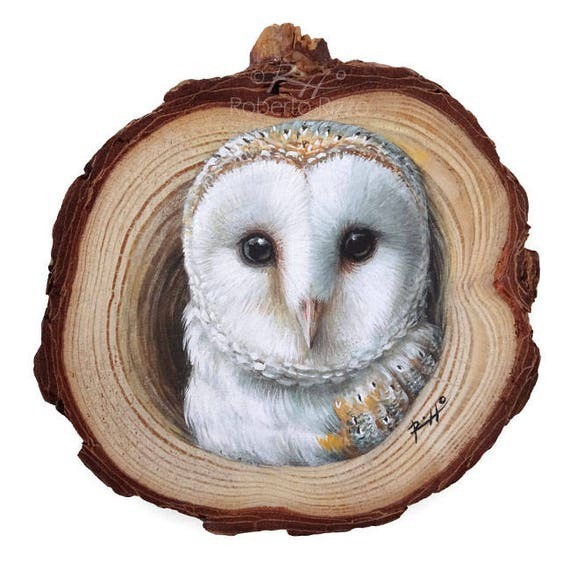 A Realistic Barn Owl Coming Out from Its Lair, a Unique Wood Slice Painting by Roberto Rizzo! 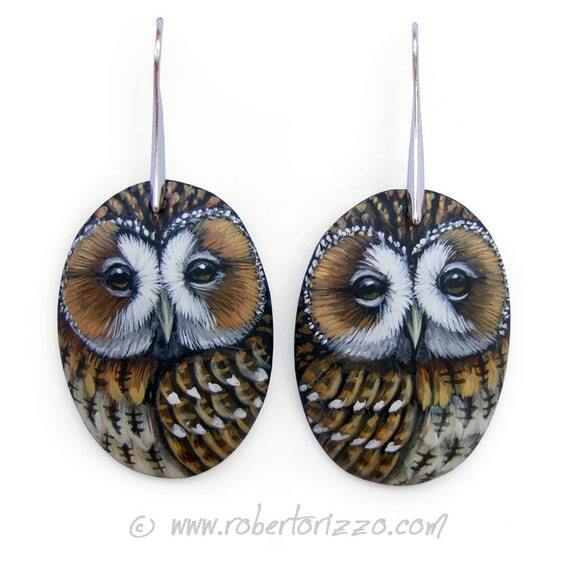 Original Art 100% Hand Painted!